We have broken down the best times to go to Mexico, depending on a variety of factors. Now that the holidays are over, it’s just, well, winter in the US. With the icy winds and frigid temperatures comes the call of tranquil, warm water and sandy beaches, perhaps with a margarita and a taco. And while Mexico plays the winter card very well, it turns out winter isn’t always the best time to go to Mexico. Don’t be mistaken, it’s a great time to head south. But Mexico is a land of microclimates and its topography is one of the most diverse in the world. You could be on the beach in the morning and, by evening, be bundled in a blanket sipping a hot mug of Chiapan hot chocolate up in the highlands. So the answer to the question, “when is the best time to go to Mexico?” is simple: it depends. Mexico has more than 5,800 miles of beaches, but the interior is made up of desert, jungle lowlands, highlands and mountains that surpass 18,000 feet above sea level. To make it easy, we have broken down the best times to go to Mexico, depending on all of those factors Rabinor described, and more. The Sierra Madre mountain range essentially runs the entirety of the country north to south, down the center. The mountains extend approximately 700 miles from northwest to southeast, with summits on average above 6,000 feet and many peaks reaching 10,000 feet. The climate here typically features cool nights and dry days. There is a rainy season, from June through October, but the mountain topography tends to mitigate it so that it is less intense than in lower-lying regions. You should visit the mountains if you’re interested in adventure travel, including trekking, climbing, mountain biking and hiking. The best time to visit would be the dry season to maximize the outdoor time, but you’re risking lower temperatures. Mexico’s lowland jungles, like the Lacandón jungle, which stretches from the southern state of Chiapas into the Yucatán peninsula and down to Guatemala, has a much more tropical, rainforest-style climate compared to the mountains. The lowlands have more intense rainy seasons from June through October, as well as a treacherous hurricane season, from mid-August through mid-October. Visitors to the lowlands will be exploring the jungles of Chiapas and its archaeological sites, such as Palenque or Bonampak, the national wildlife preserve within the state of Campeche or the Mayan sites within the Yucatán or Quintana Roo states. The best time to visit the lowlands are in the winter, when it will still be hot and humid, but much drier compared to the summer. These two regions, while different in topography, are similar in climate. 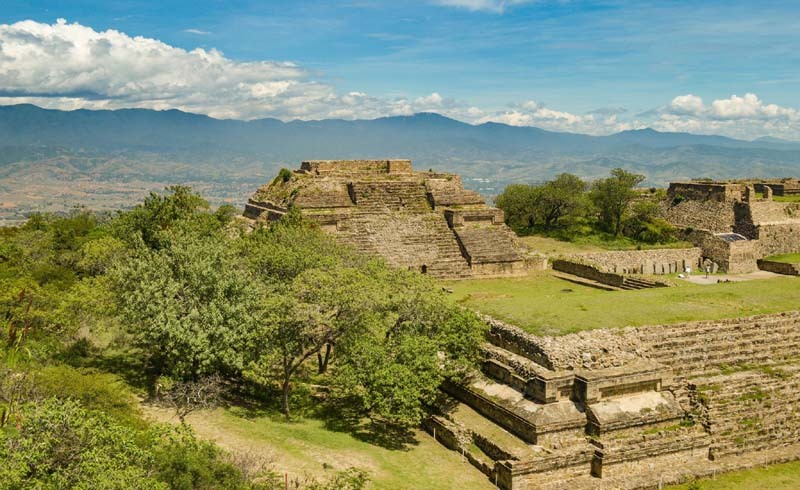 The Northwest is a mountainous plateau that stretches down to the desert region encompassing destinations like San Miguel de Allende, Querétaro, Guanajuato, Copper Canyon and Mazatlán. The Baja peninsula, across the Sea of Cortez, is a desert-style environment similar to southern California. This region is much cooler, especially in the winter. The best time to visit is June through October, when the destination will be drier. But beware of hurricane season in Baja, which is susceptible to severe storms (think: Hurricane Odile in 2014, which completely ravaged Los Cabos). And finally, we reach the coast — Mexico’s best-known tourism commodity. Vacationers flock from the tip of the Yucatán, around to the southwestern coast of Oaxaca and up the entire Pacific Coast of the country through Acapulco to Puerto Vallarta, to name a few hotspots. 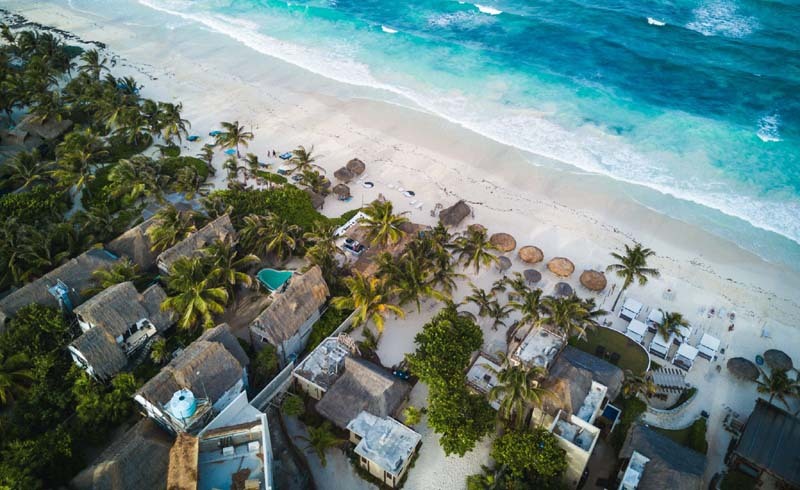 The absolute best time to begin to hit Mexico’s coast is after hurricane season, specifically November when the weather switches to the dry season, and lasts until around March or April. This is when the coast is its most beautiful, with lower humidity, warm days and cooler nights. Unfortunately, this is when the rest of the world is also heading to Mexico’s coast, so you’ll find more crowds and higher hotel rates. The summer on the coast is hot and humid, oppressively so. However, this is when you’re most likely to get beaches all to yourself and insane hotel rates to boot. Even though Mexico is a vast and spread-out country, there tends to be uniformity, for the most part, when it comes to crowds. A general rule of thumb is that school holidays, like Christmas, Easter and the summer months are when both international as well as Mexican families like to travel, so hotels tend to be crowded. Mexico has a lot of national holidays — many more than the US — So it’s a good idea to consult this list of public holidays to know if you’re traveling over a Mexican vacation time. The cities, like Mexico City, Guadalajara, Guanajuato, San Luis Potosí and Querétaro, work under a different set of rules. Weekdays will be more crowded, especially at the hotels, as this is peak business travel time. The weekends in the major cities will have fewer crowds and better hotel rates. That said, weekends are also when international travelers are jetting in for short visits. In addition to holidays and spring break, January and February are part of Mexico’s high season. With frigid temperatures up here, who wouldn’t want to be down there? March and April also tend to be crowded with spring breakers and during Semana Santa (the week leading up to Easter and one of the most celebrated times among Mexicans), leaving beach destinations packed to near gridlock status. Shoulder season — May, June, September and October — are a bit rainier and more humid, but will have the fewest crowds, so if you’re planning a trip to the coast consider these months. This is also when you’ll get the best hotel deals. If you’re looking to save, the best time to book flights to Mexico varies depending on where you want to go, according to travel search engine Skyscanner. Planning a trip to Mexico City? Book your flights at least eight weeks in advance. The cheapest month to travel is February, when airfare can be 29% cheaper than average. But, according to Rabinor, this is one of the worst months because of a high level of pollution and smog. Flights to Cancún should be booked even farther out, up to 14 weeks in advance. The cheapest month to travel is October, when flights are 35% cheaper. This is right in the eye of hurricane season, however, and you’ll likely have more rain than sun. If you want to go to Guadalajara, booking at least 10 weeks in advance will be your best bet. The cheapest month to travel is in September. Ready to plan a vacation in Cabo San Lucas? Flights should be booked at least 15 weeks in advance, according to Skyscanner, and the cheapest month to travel is August, when you can save almost 50% on airfare. Flights to Puerto Vallarta are at their cheapest at least 10 weeks in advance. The cheapest travel month is generally September, but this is the heart of the rainy season and also when Puerto Vallarta can be at its hottest. As mentioned earlier, Mexico is a country that loves to celebrate, and has a ton of public holidays on which to do so. There are festivals all throughout the year and some of them are pretty spectacular. Keep in mind, festivals tend to be the most expensive and most crowded times to visit, but you’ll be in for some remarkable memories. In the days from Christmas to New Year’s, Mexico is in full holiday mode. The best New Year’s Eve parties are in Mexico City, Puerto Vallarta, Playa del Carmen, San Miguel de Allende and Los Cabos. While it is one of the most expensive (and crowded) times to be in Mexico, New Year’s is certainly one of the most colorful and explosive holidays, as it is in most parts of the world. Each winter, millions of monarch butterflies make the journey from Canada and the US to Mexico for their annual migration. Their final resting spot is among the oyamel fir trees in the state of Michoacán, around the month of February. It is one of the most spectacular sights to behold as massive swaths of brilliant orange flicker across the blue winter sky, turning the forests of Michoacán into a veritable fairyland. Easter time (and the week leading up to it) is one of the holiest times in Mexico. Semana Santa — as the Holy Week is called — is when thousands of Mexicans make pilgrimages or take their holidays. The festivals are marked with parades, music, street food and cathedrals that are packed to the gills. Contrary to popular belief, Cinco de Mayo is not Mexican Independence Day. (It’s actually not even that big of a holiday, and few places in Mexico celebrate it.) The real Mexican Independence Day falls over Sept. 15 and 16, and celebrations, fireworks and parties are held all across the country. For many lovers of Mexico, a visit to a Day of the Dead celebration is a veritable rite of passage, as it should be. One of the most sacred holidays in Mexico, Day of the Dead celebrates and honors ancestors who have passed on. Cemeteries flood with relatives who pray by candlelight and adorn the graves with bright orange flowers. In many cities like Mexico City, Puerto Vallarta, Mazatlán, Oaxaca and San Miguel de Allende, there are boisterous parades with colorful puppets, masked characters and lots of face paint and flowers.